Keeping the Pounds Off! : Weird but Tasty and Healthy, Too! Weird but Tasty and Healthy, Too! WARNING WARNING WARNING! Food vividly described in today's post. Do not read if you are too hungry, too angry, too lonely or too tired. If you are not feeling strong today, come back and read me another day. Today I am discussing a recipe that combines he flavors of sweet, creamy, salty, crunchy tangy and healthy! Yes, and healthy. By Jove, I think I've got it - and it is NOT Ben+Jerry's Late Night Snack ice cream! When I was in my addiction, ever looking for the one bite that would satisfy me and make me say enough - ever searching for that perfect bite of sweet, creamy, salty, crunchy tangy SOMETHING that would fill me without excess and without obsession to eat and eat and eat and eat. It always eluded me. It does not exist. If it did exist, I never found it. Hello. I live in your head. . . . When I began to recover from my food addiction I stopped 'needing it'. In the past couple of years of keeping the pounds off, I stopped looking for 'it', yet I found the desire for 'it' seems to still be stored somewhere in the dark, squirrel-y recesses of my mind. I am obviously not the only one in the world seeking that perfect combinations of flavors. Ben+Jerry's Late Night Snack label reads that is it a 'salty, sweet, creamy crunchy' flavor. I have not tasted it but it seems to be very popular. Various chef/challenge/cooking shows showcase recipes combining the sweet maple syrup, the saltiness and crunch of bacon and the creaminess of eggs and butter. The other week someone mentioned they put Eggbeaters into their oatmeal. I thought 'gross.' 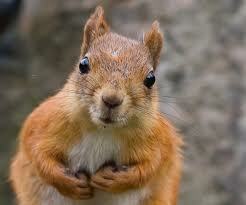 Later on, the squirrels who live in my head took a spin through the tapes and recovered the thought. Eggbeaters in oatmeal? Ick. Egg whites in in oatmeal: ick? Eggs in my oat bran . . . Hmm. Suddenly an idea for a recipe filled my twisted mind. I took my four egg whites and 1 yolk (17 grams protein, 126 cal, 5g fat) and gently scrambled them. When the whites were cooked, but just barely set, I folded them into a serving of oat bran (5 grams protein, 150 calories, 2.5 grams fat). I mixed in artificial sweetener (Spelnda), a sprinkle of black pepper and a good dose of Crystal hot sauce. (no calories, no fat). Doesn't that sound hideous? It was anything but hideous in the mouth. It was wonderful. It was a perfect mix of sweet, creamy, salty, crunchy, spicy tangy and healthy: 22 grams protein, 26 carbs, 7.5 grams fat - low sodium, high fiber and no added sugar. I can have it with a piece of fruit and it is breakfast. I can have it with a piece of chicken and/or a salad and it is lunch. In the future I may try it with apple replacing the sweetener. So my question today is this: What is the weirdest healthy combination of foods (preferably things you would have never combined in your former life) that you enjoy as a healthy food today? Not sure if it is weird, but I like one egg, cooked in dry pan over easy on 1/2 whole wheat bagel with 1 tbsp natural peanut butter. I rarely eat bread but once in awhile I do eat this. Plain, non-fat Greek yogurt mixed with Paul Newman's Mango Salsa. I love it just as is, or as a really good salad dressing. When I first showed my daughter this, she said "ICK" but once she tasted it she changed her mind. At the first mention of "Ben & Jerry's Late Night Snack ice cream" I laughed, thinking it was another example of your "twisted goat" sense of humour. At the second mention I realised that it may not be a joke, so I Googled it. Apart from the fact that "vanilla ice cream, fudge covered potato chip clusters & a salty caramel swirl" sounds disgusting, is anyone else grossed out by the fact that this ice-cream actually exists? These days EVERYTHING is being marketed to people with food issues. Watch for my next post about a product that I an ad for this week. Red Panda - I should have specified - The post will be up on Tuesday and it is called Feasting on Coupons. Thanks Jane - I'll look out for that post.